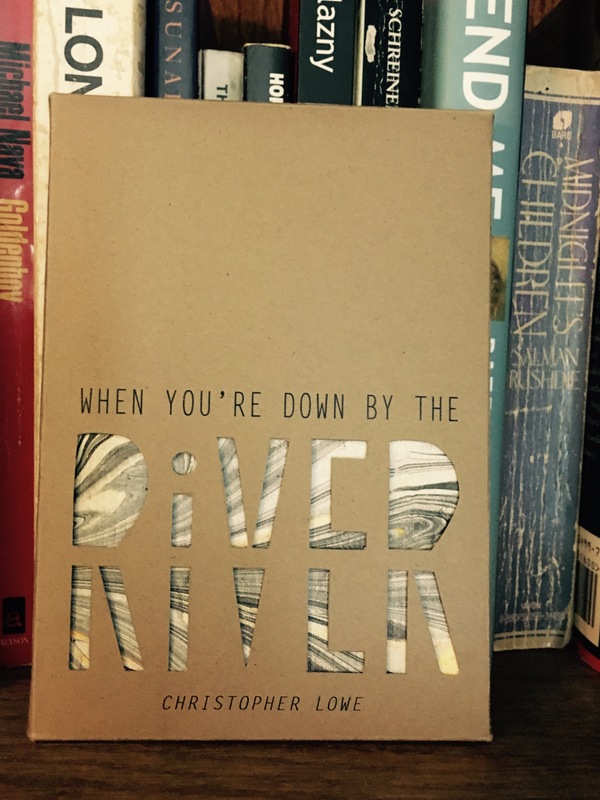 When You’re Down by the River was published by BatCat Press in a hand bound edition of 100 numbered copies, each featuring a unique cover, that’s the marbled paper you can see inside the “RIVER” cut out on the cardboard casing the book comes in. It’s a small work of art as well as a collection of four excellent stories. Mr. Lowe’s stories are more rural versions of those found in Raymond Carver’s work. Son’s trying to understand fathers, uncles with issues they hope to work out through their nephews. Searching for that moment of epiphany that doesn’t quite come they way you expected. I enjoyed them all. They were an added bonus to the beauty of the book itself. I love that cover! Very cool to support those small presses.